Hand Drawn and Whiteboard Mode are display options available for any diagram that changes a system-drawn diagram to appear as though it was drawn by hand and, optionally, hand drawn on a whiteboard. It is a powerful device to engage an audience by presenting the diagram in a rough and more immediate style giving the impression that it is just a sketch that can be changed. Both modes will present the diagram in a hand drawn style but the whiteboard mode will change the Fill color of the elements and the diagram background to white as though it had been drawn on a whiteboard. The Hand Drawn diagram mode is a perfect tool for use in workshops and presentations to internal or external customers, as a way of softening the representation of more formal elements that are normally displayed in their more rigid geometric forms. Audiences will tend to respond to the diagrams more favorably as they appear to be just sketches and not yet resolved as finished diagrams. 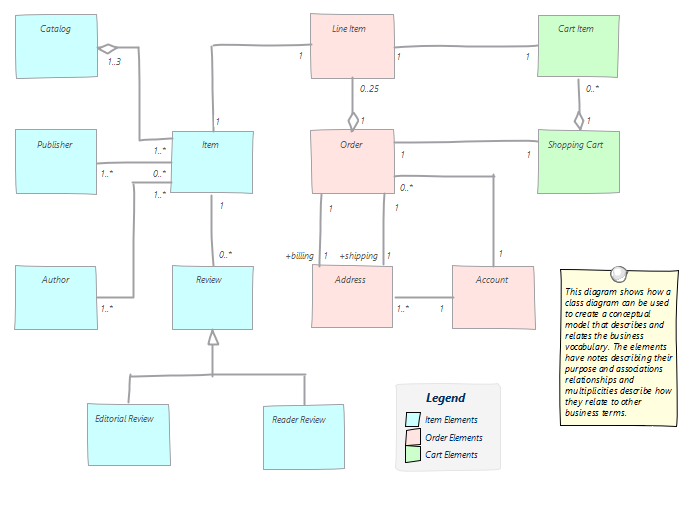 Stakeholders who are not familiar with the formal modeling languages such as UML will typically be more engaged by these diagrams. The Whiteboard mode will give the appearance that the diagram was sketched on the whiteboard, again adding an immediacy to the drawing. Both the Whiteboard and Hand Drawn modes of presentation can be carried through to generated documentation that contains the diagram. The Whiteboard mode will give the appearance that the diagram was sketched on the whiteboard again adding an immediacy to the drawing. Both the Whiteboard Hand Drawn mode of presentation can be carried through to generated documentation that contains the diagram.